Edmund Morris. Colonel Roosevelt. New York, NY: Random House, 2010. Pp. 766. Photographs, bibliography, endnotes, and index. ISBN: 9780375504877. $35.00. Colonel Roosevelt is masterful. Edmund Morris’s third volume in his epic project on Theodore Roosevelt has the prose and the dramatic narrative of history of which timeless biographies consist. Morris’s first volume, The Rise of Theodore Roosevelt, earned the Pulitzer Prize and arguably covers the most fascinating part of TR’s life: his meteoric rise to fame. His second volume, Theodore Rex spanned 1901 to 1909, the Roosevelt presidency. While his administration is undoubtedly the most important aspect of TR’s life (and, interestingly enough, the most neglected among Roosevelt biographers), it is also the least gripping. This third volume covers 1910 to 1919 and Mr. Morris deftly handles the most misunderstood period of Roosevelt’s career with grace, scholarship, and balance. 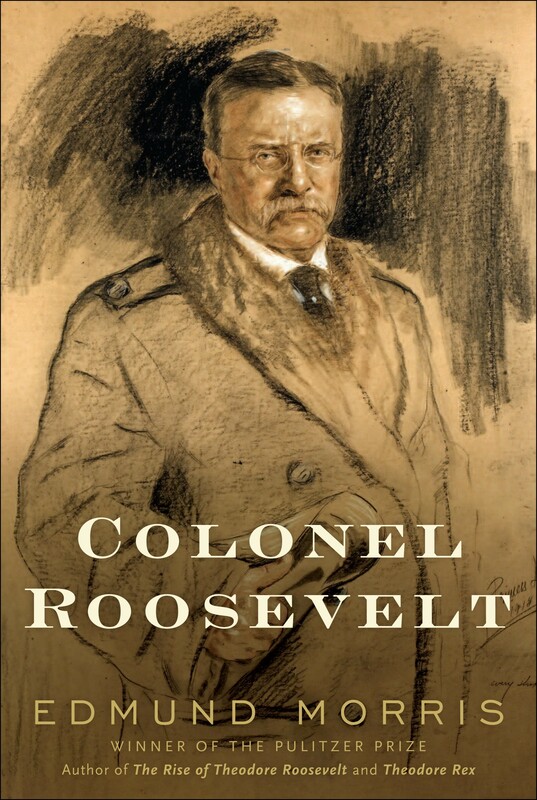 Colonel Roosevelt begins with the vivid bloodletting imagery of Roosevelt’s 1909-1910 African safari and the ensuing fanfare when he toured Europe as “the most famous man in the world.” Moving rapidly to the Taft-Roosevelt split and the genesis of the Progressive Party, Morris vividly propels the reader through Roosevelt’s 1912 barnstorming campaign across the country and his near-fatal adventure on the Amazon. A particular strength of this book is the finesse with which Morris handles the period from 1914 to 1918 when TR was a gadfly to President Wilson as Europe was being consumed in the destruction of the First World War. Roosevelt railed against Wilson’s “too proud to fight” policy that, in his mind, seemed to linger too long. As a result, some Americans considered TR a rabid zealot. Yet to others, he seemed the prophet of preparedness. Morris correctly argues that, despite the often bitter anti-Wilson harangues, TR came down on the right side of history. The book concludes with the heartbreaking death of his youngest son Quentin, which ultimately results in the loss of the famous Rooseveltian energy. Like a deflating balloon, the reader can almost feel the lust for life that fills Morris’s first two volumes slip away from Theodore Roosevelt. At times, the strength and speed of the narrative does not allow for a more nuanced scholarly examination. Significantly, Morris misjudges Roosevelt’s faith in Progressivism, post-1912. TR may have grown frustrated with the Progressive Party, but he never lost interest in fundamental progressive principles which he had championed as early as his time in the New York State Legislature. But, while perhaps a shortcoming, this is not a failure. This is a biography. Roosevelt’s policies, positions, and detailed historical analysis can be found elsewhere in other superb Roosevelt works. What Morris accomplishes, in three volumes, is a Homeric portrait of a life unequalled in Roosevelt scholarship. Of course, he could not have had a better subject! Morris succeeds notably when revealing Roosevelt’s intellectual depth and literary abilities. Few TR biographers have given Roosevelt sufficient recognition as a true intellectual with a mind and literary ability that rivaled even Thomas Jefferson. Noting particularly Roosevelt’s article “The Search for Truth in a Reverent Spirit” (The Outlook, December 2, 1911), Morris illustrates the scope of TR’s philosophical and intellectual depth. Beyond this, the book excels in its dramatic retelling of familiar stories. For example, Roosevelt’s attempted assassination in 1912 is riveting prose. The author also provides some particularly interesting insight to TR’s personal health that is new to Roosevelt scholarship. Lastly, Morris identifies 1911 as a pivotal year as TR struggles politically and intellectually during his personal deliberation as to whether to seek the presidency again. This year has been neglected by biographers as it is bracketed by the more interesting years of 1910 and 1912. Also worth mentioning are the exhaustive endnotes that can take the reader down fascinating paths. Roosevelt’s home, Sagamore Hill, in Oyster Bay, plays a subtle role in this third volume. Originally built to impossibly house the energetic Roosevelt family, as the children grew, were married off, and fought overseas, the home became a well-worn refuge. In this telling, it was a place of bleak solace and empty rooms for TR and Edith as they struggled with the bitter and melancholy final years in public life and the loss of their son. The gabled house becomes a character, perhaps unintentionally, in this tale. After his death, Edith lived there nearly thirty more years. As the final page is turned, and Roosevelt dies at the early age of 60, Morris must have wondered: what if there had been twenty more years? Few biographers have successfully put this American giant between two covers. And, while it took six covers, Edmund Morris has. Colonel Roosevelt is a fitting third and final volume.